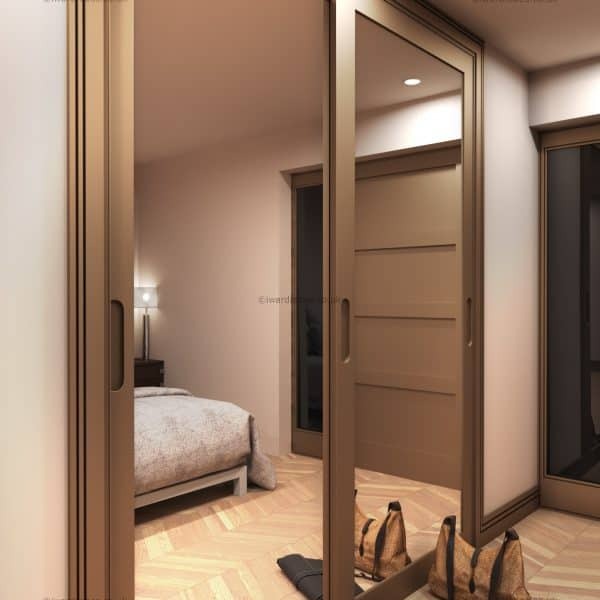 The Canary Wharf modern designer wardrobe is a part of our designer sliding door closet range. 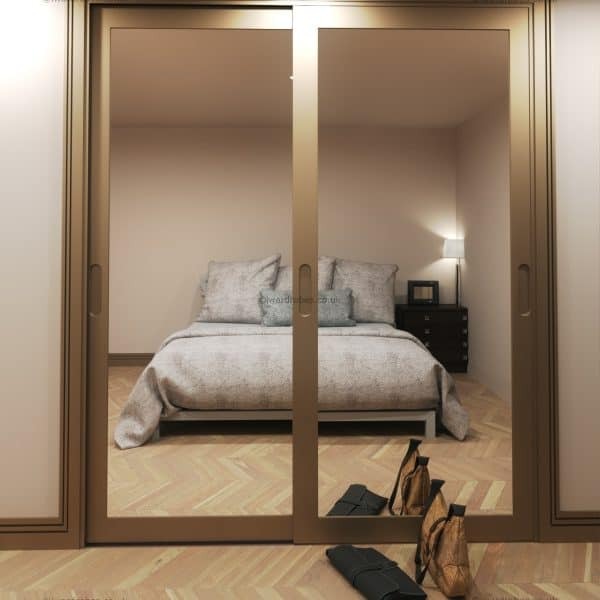 The accent in the sliderobe has been made to the beautiful frame made from high quality spray painted MDF. 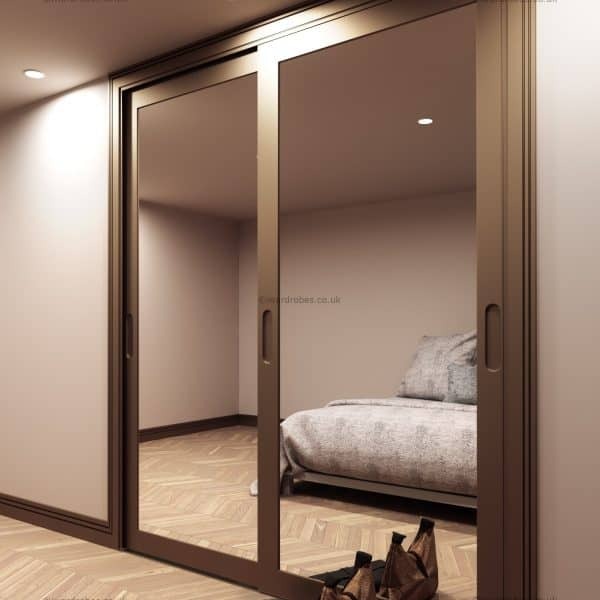 The majority of sliding door wardrobes come with metal frames with handles being a part of the frame. 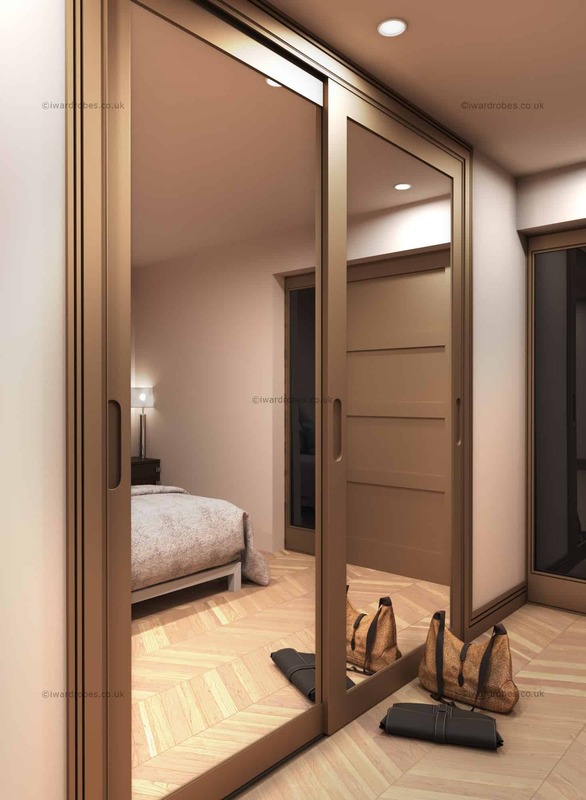 With the Canary Wharf custom wardrobe we wanted to offer our customer a different modern sliderobe, the bespoke storage solution that would not only be a contemporary unit, but also a fully customizable interior feature. 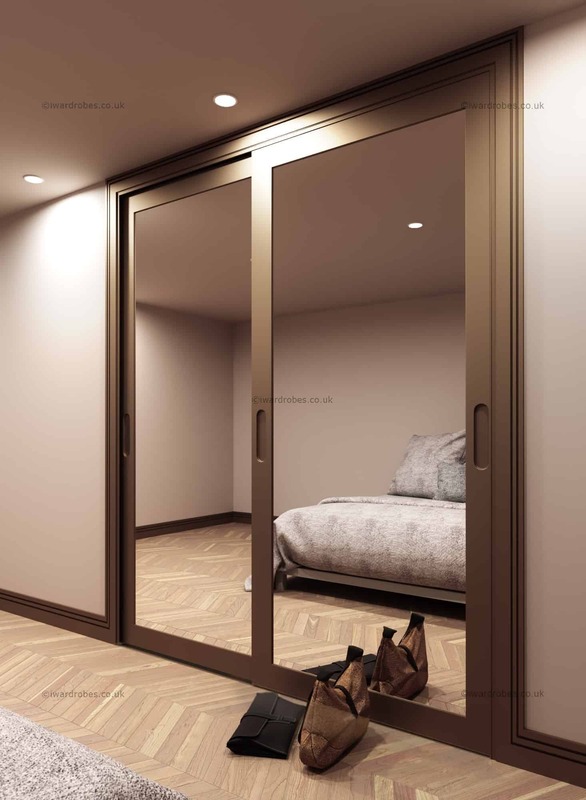 You are free to choose any RAL paint colour and the mirror type as well. 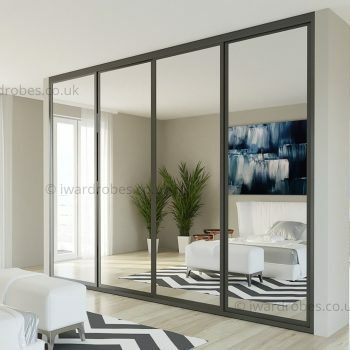 The unit look great with the standard mirror panels (you also do need need to buy a mirror), but it would also be amazing with bronze, lacquered or glass panels. 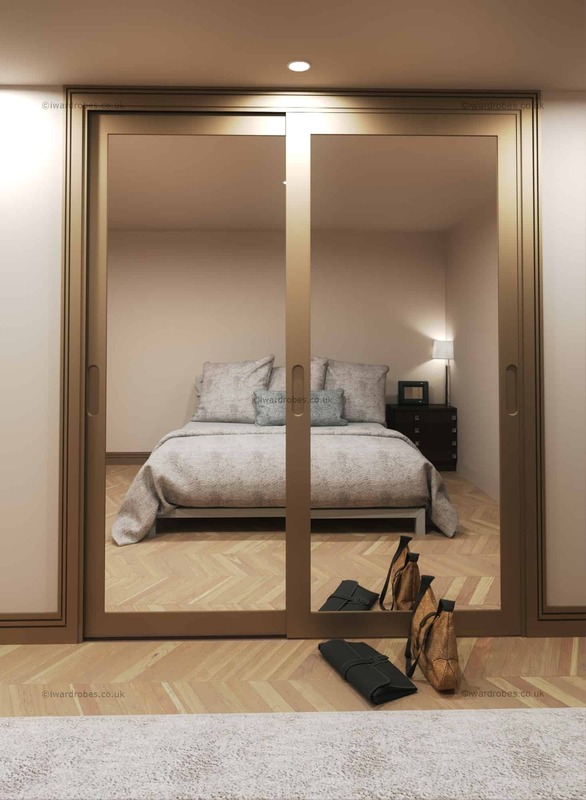 The interior of our wardrobes are also truly bespoke. 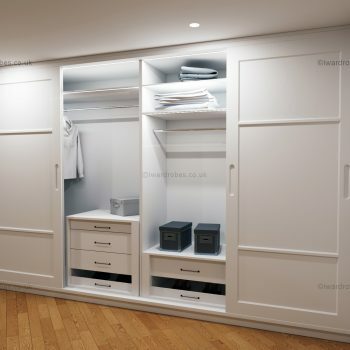 It can be a part of a hallway storage with hanging space for coats and jackets and shoe drawers. The accessory lovers might prefer to have shelves for bags, jewellery drawers with fitted LED lights. 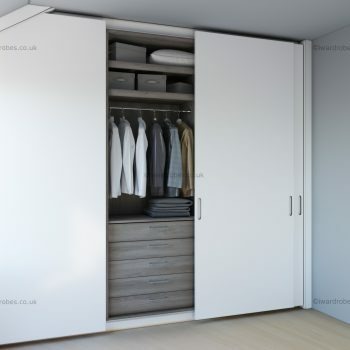 The wardrobe can also be a part of the walk-in closet.